Robb Hirsch is the founder and executive director of the Climate Change Leadership Institute (CCLI), this non profit 501(c)3 organization based in Santa Fe, New Mexico. Robb earned a BA in environmental policy from Harvard University and as a Fulbright Scholar earned an MA in sustainable development from New Zealand’s Otago University. He worked for the US Department of State Oceans, Environment and Science (OES) Bureau focused on the Framework Convention on Climate Change and the Biodiversity Treaty. In 1997, concerned not enough was being done in the US to address climate change, Robb rode his mountain bike 6,000 miles around the country to spark awareness and amass a people’s petition to congress calling for bold action at the Kyoto summit. 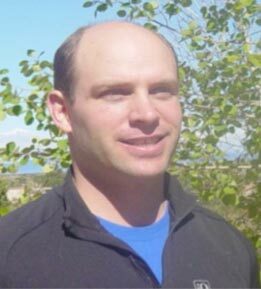 Since then Robb has been working in New Mexico (initially with Americorps, Center for Dispute Resolution and Native American Tribes) on behalf of education, the environment and sustainable development. Presently, along with this Institute, Robb runs a New Mexico wind energy business and consults for one of the nation’s leading renewable energy companies – all together helping to spearhead a clean energy revolution in America.